. كما يقدم Alexis Motels and Apartments الكثير من الخدمات لإغناء رحلتك في كوينز تاون. لضمان راحة ضيوفه، يقدم الفندق الخدمات التالية: واي فاي مجاني في جميع الغرف, مرافق مخصصة لذوي الاحتياجات الخاصة, تسجيل وصول/خروج سريع, تخزين الأمتعة, واي فاي في المناطق العامة . استمتع بوسائل الراحة الراقية في الغرف أثناء إقامتك هنا. بعض الغرف تتضمن تلفزيون بشاشة مسطحة, حوض الاسترخاء, غرف لغير المدخنين, تدفئة, خدمة الإيقاظ لمساعدتك على استعادة طاقتك بعد يوم طويل. يمكنك الاستمتاع بالأجواء المريحة التي تقدمها حوض استحمام ساخن, حديقة طوال النهار. اكتشف مزيجاً ساحراً من الخدمة الاحترافية والخيارات الواسعة من وسائل الراحة والمتعة في Alexis Motels and Apartments. Nice, clean motel unit about a 10 minute walk from the downtown centre. Kitchenette has everything you would need to cook a simple meal (though we ate out). The jacuzzi tub in the bathroom was a major plus. We were give a cheaper room compared to the one we booked via agoda due to an error from agoda. However when we tried to explain i felt the staff did not seem sympathetic to our situation and pretty much told us we are on our own on this. I thought the motel could have been nicer to us as we tried to sort out the situation. As for location and facilities, it was about 15 mins walk to the town center. 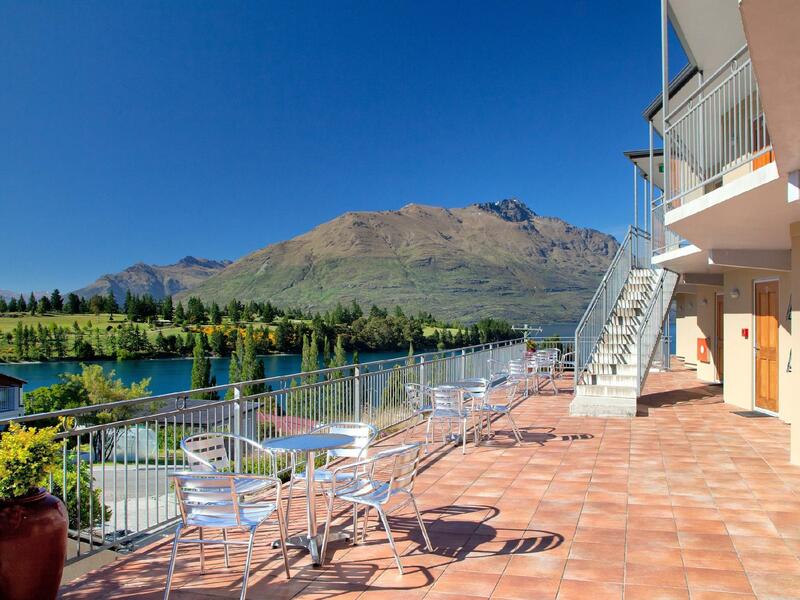 Good location, 15 minutes' walk to Queenstown, showers and kitchen, the coin operated washing machines don't work properly, we complained to the staff and was issued a refund, but sadly our clothes were not properly dried - we would rather the machines worked. 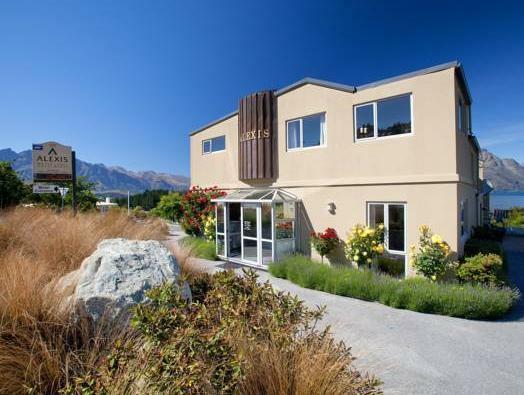 large rooms, comfortable with good appliances for self catering. very close to town, 5 - 10 min walk and the carpark is under cover. solid stay. no bar or food facilities however the as I mentioned its set up for self catering very well. 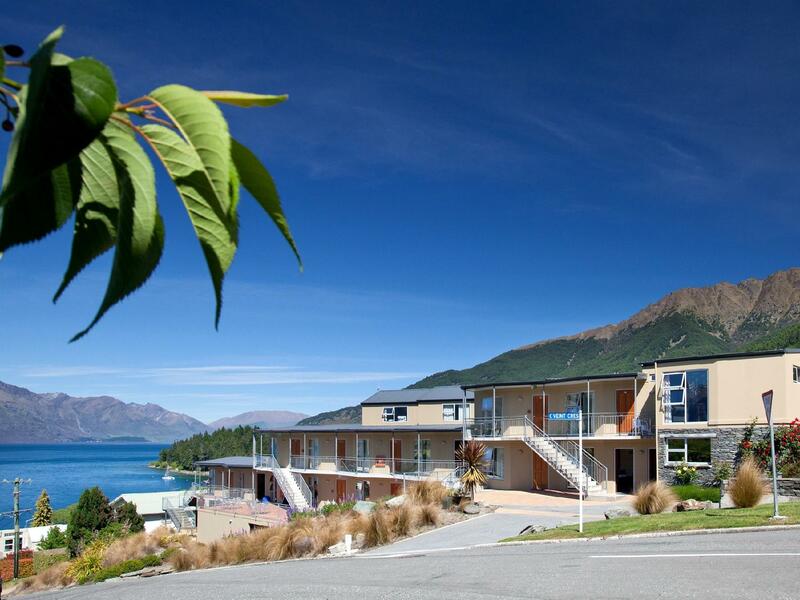 Our booking specifically requested a room with disability accessible features. The room ticked most of the requirements in this regard, but did not have an installed shower bench. The proprietors did provide an un-adjustable stand alone shower chair. It had basic cooking facilities but based on the numerous notices found in the room the owners apparently frown upon you cooking "smelly" food (eg: seafood) and request you ventilate the room adequately when cooking. 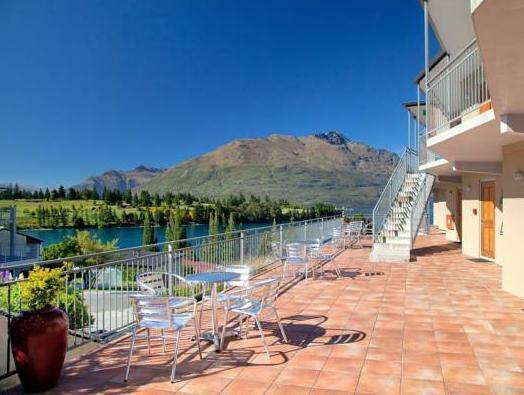 Fine I guess in good weather, but Queenstown can get mighty cold in winter. Maybe the could just install some rangehoods like many others with hotplates. The bed and pillows were reasonable but could do with some padding over the electric blanket which you could feel below the sheets. 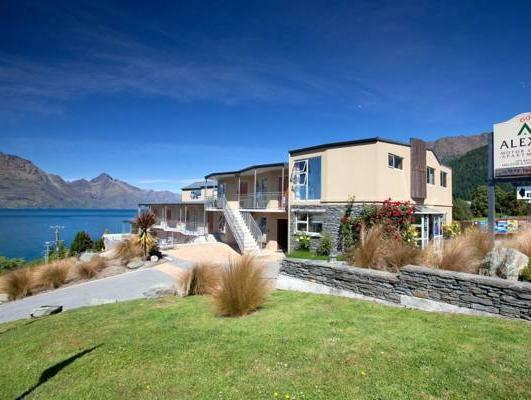 The location is good a little out from Queenstown and the view was wonderful. We did have an issue with water being cut off in the street which was not the fault of the owner, but his response to our difficulties was poorly managed. Friendly stuff and nice and clean apartment. Very spacious room. But its a pity that we can't cook food with strong smell (e.g. steak/fish) inside the room. Great view, cosy room. Nice staying here. 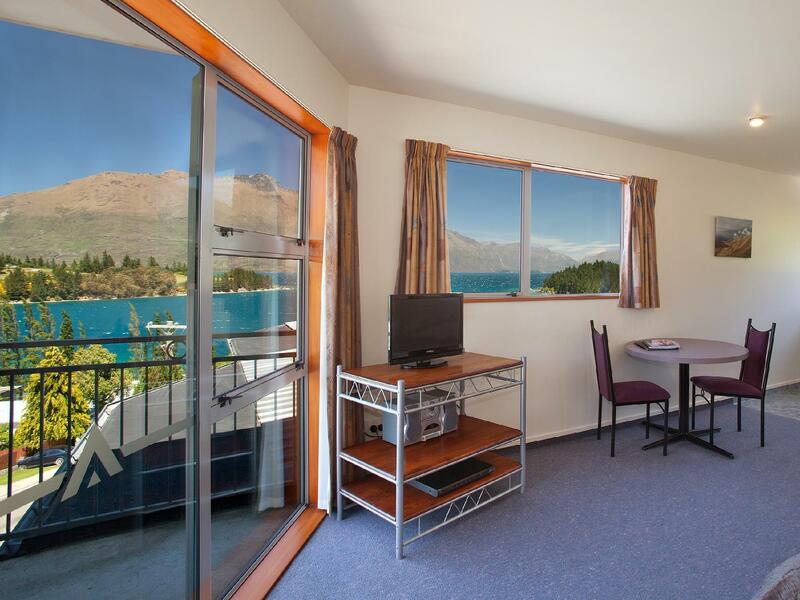 Great location - lovely views of the lake from our room and the motel is a relatively easy 12 minute walk to town - much easier than trying to find a park in busy Queenstown (although note it is a fairly steep hill to climb on the way back from town). The bed was very hard and some of the plugs stopped working - aside from this the motel was good value for money. Receptionist was not kind and wouldn’t recommend. Good room in QT. 15 mins is needed to walk to downtown. The way to get the motel is quite steep. The facility in room is nice but simple.